Despite the Australian Bureau of Statistics (ABS) latest figures showing that life expectancy for Aboriginal and/or Torres Strait Islanders has increased, on the ground in the Aboriginal communities that matter, in remote and semi-remote communities life expectancy is still in tune with third-world statistics. However, the ABS figures show an increase in the life expectancy for Aboriginal and/or Torres Strait Islanders over the past five to seven years, which if true would slightly narrow the gap compared to non-Indigenous people. In reviewing the figures I found that for remote Aboriginal families who have always been identified as Aboriginal that life expectancy has not improved to any significant extent during the last half century. I have found that for Aboriginal peoples who have lived the per se Aboriginal experience rather than a per se assimilated experience for most of those people who have not always formally identified as Aboriginal and/or Torres Strait Islander, that for those who always have identified the life expectancy statistics remain stark. The life expectancy averages that are being sold to the public actually belong to the estimate of all people with Aboriginality, to anyone who chooses to identify with any identifiable heritage even without having to seek approval of their status from their attributed community. The life expectancy medians are no longer limited to those Aboriginal and/or Torres Strait Islanders who have always identified as such and lived a per se traditional Aboriginal experience, which was wrapped up in marginalisation, discrimination, inequality. These are the peoples who were identified as Aboriginal during the 1950s and 1960s when they were effectively denied the right to vote, when effectively they were third-class ‘citizens’ living in third-world conditions. During the last several Censuses the ABS has added hundreds of thousands to the Aboriginal and/or Torres Strait Islander population numbers – anyone that chooses to tick the box on the ABS Census questionnaire – that means anyone who ticks one of the boxes that they believe they have Aboriginal and/or Torres Strait Islander heritage. It does not matter if they do not acknowledge their heritage as their predominant identity and even if their families have been generations removed from identifying as. Most of these people have enjoyed a first world experience. The heaping of everyone together in terms of rightfully identifying Aboriginal heritage has however skewed the data and medians in terms of the original ‘cohorts’. 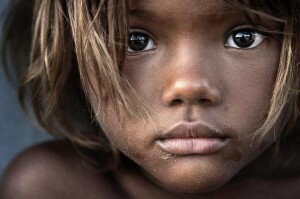 It has led to a spike in the life expectancy averages of Aboriginal and/or Torres Strait Islander peoples that hides the tragedy of short lives – of the half lives – for those Aboriginal and/or Torres Strait Islander peoples whose whole ancestral line has identified and lived what I am describing as a third-world experience. I have discussed this predicament with an ABS spokesperson and he noted that the ABS several years ago coupled experimental tables with the rise in attributed population numbers. However for myself as a researcher predominately the aggregation of peoples whose recent ancestors were not part of population counts makes the life expectancy averages rubbery, and worrisome more so in terms of not allowing proper monitoring of the quarter of a million of Aboriginal and/or Torres Strait Islander peoples during the 1970s who endured, and whose family lines I believe still endure, half lives – who were living more than 30 years less than the rest of Australia. Nearly one in three Aboriginal and Torres Strait Islander people still die at less than 45 years of age. My own longstanding research is fixated with caring about those in extreme poverty, about those who are dying prematurely, about that layer of the Aboriginal population from whom most of the Aboriginal prison population arise from, the same layer responsible for the majority of the 996 reported Aboriginal and/or Torres Strait Islander suicides between 2001 and 2010. Every Census we are told that the life expectancy rates are improving, that the life expectancy gap between Indigenous and non-Indigenous Australia is being bridged but at the same time we find just about every other statistic is getting worse. While it is pushed that life expectancy rates are improving, suicide rates – for youth and adults – are worsening, with rates and spates of suicide among Aboriginal and/or Torres Strait Islander peoples among the world’s worst. Crude totals of premature death are on the rise, and of course we have the suite of other horrific statistics that are on the rise, such as the imprisonment rates. The averages are also skewed by the number of children who now make up a significant proportion of the Aboriginal and/or Torres Strait population. An Australian born in 2013 can expect to live to more than 82 years of age. But if we standalone the adults of the Aboriginal and/Torres Strait Islander population we may find that they can expect to live only into their fifties, while in the Northern Territory and other remote communities they can expect to live into their forties. Half-lives, but this narrative is not being told. The ABS reported that life expectancy for Indigenous men between 2010 and 2012 was 69.1 years and 73.7 years for Indigenous women. But that is for all those who identify as Aboriginal and/or Torres Strait Islanders. According to the ABS this was an increase of 1.5 years for men and half a year for women compared to the period between 2005 and 2007. ABS researcher Bjorn Jarvis said there is no one particular reason for the changes. “It brings together a whole range of different things that are happening in public health and socio-economic factors,” said Mr Jarvis. But according to the ABS figures and according to their own comparative data Aboriginal and/or Torres Strait Islander men will live 10.6 years less than non-Indigenous men, while Aboriginal and/or Torres Strait Islander women will live 9.5 years less. According to the ABS, this gap has narrowed slightly since the mid-2000s by about 0.8 years for men and 0.1 years for women. To ensure Australia is not hiding third-world communities amidst its first-world landscape, population statistics need to be disaggregated to remote living peoples and also to peoples whose families have for generations been identifying as Aboriginal and/or Torres Strait Islanders. What is an indictment of Australia is that its average life expectancy – 82 years – is third in the world behind Japan and Hong Kong, according to the ABS and the United Nations. However, if we standalone Aboriginal peoples their life expectancy average is not in the top 100. The Northern Territory has the lowest life expectancy according to the ABS with males expected to live to only 74.7 years and females to 80 years, but this is because the average has been dragged down because of the proportionately high Aboriginal population – 30 per cent of the Northern Territory population is comprised by Aboriginal peoples. In all other jurisdictions they are less than 3 per cent at most of the total State or Territory (ACT) populations. According to ABS data, in the Northern Territory the median age was 59.8 years old for the 1,038 deaths it recorded in 2012 – about 22 years below the national median of 81.7 years old. The less than 60 year age of deaths average last year in the Northern Territory is low because of the premature deaths of the Territory’s Aboriginal peoples during 2012. This is a tragically profound indictment of the Territory six years into the Government’s “Intervention”. People are dying ever more prematurely despite the Government “Intervention.” The 2012 statistics alone should lead to calls for an inquiry to why obviously the “Intervention” has failed. When these statistics are coupled with a relatively recent Northern Territory parliamentary committee report on Aboriginal child suicides which reports a shocking rise in the child suicides, of both little boys and girls, the fact that there has been no inquiry is a tragic indictment of our Government – racism by neglect, racism by omission, racism by various veils of censorship. Thus far, no Australian Government Minister, not a single parliamentarian, whether the previous or incumbent Governments, not any relevant bureaucrat will actually respond to my questions despite the continuum of promises that they will. Politicians should scrub up and do the distance on answering these questions, or at least buckle down and learn more, or bugger off from political life and allow more committed types and brighter minds to replace them. Professor Milroy runs a team of researchers who will tackle children’s health, disability and development outcomes as well as chronic disease. Her team will address the overarching issue of Aboriginal culture and its relation to social and emotional wellbeing and mental health that are estimated to contribute as much as 22 per cent of the life expectancy gap for Aboriginal people. According to the ABS, life expectancy at birth for Aboriginal and/or Torres Strait Islander males is highest in NSW – 70.5 years, but lowest in the Northern Territory – 63.4 years. According to the ABS, differences in life expectancy at birth estimates between non-Indigenous and Aboriginal and/or Torres Strait Islander males are largest in Western Australia – 15.1 years, and for females in the Northern Territory – 14.4 years. For more than a decade, I have urged for regional remote data and the ABS has produced for the first time life expectancy at birth estimates by remoteness area. The ABS has published data by grouping major cities, and by inner regional remoteness areas and by outer regional, and by remote and by very remote. The remoteness areas were grouped together because the ABS had insufficient data for some of the remoteness areas to be published individually – which would have been ideal. The pertinent aspect in life expectancy medians for Aboriginal and/or Torres Strait Islander peoples are the increases in population numbers from the Census of Population and Housing – which are the principal source of information about Australia’s population. The Census is every five years. The ABS acknowledges that “during intercensal years” the standard approach of adding net birth, death and migration numbers to the base Census numbers does not apply to Aboriginal and/or Torres Strait Islander births, deaths and migration because “of the lack of sufficiently reliable data” on ATSI peoples. In recent times, there have been large increases during two Census periods – 1991 to 1996, following Wik and Mabo, and heightened calls for Treaty, and 2006 to 2011 following the Prime Minister’s Apology. Between 2006 to 2011, the Census count of Aboriginal and/or Torres Strait Islander peoples increased by 93,300 – a rise of 21 per cent. In the 1986 Census there was a 42 per cent rise in the population number of ATSI peoples from the 1981 Census. According to the Human Rights Commission: ”The increases in the Indigenous population cannot be accounted for by the birth rate alone. The ABS attributes the increase to a growing propensity of people to identify as Aboriginal and/or Torres Strait Islander, and the greater efforts made to record Indigenous status in the censuses.” However despite the right for people to recognise their Aboriginality, these aggregations have skewed the data that we need on Aboriginal and/or Torres Strait Islander communities which lived in third-world conditions and which many still live within. In order to understand the extent of how data on life expectancy rates has been impacted by the increase in populations well beyond fertility rates we can consider the 1971 Census when 20,200 Aboriginal and/or Torres Strait Islander people were counted between the ages of 0-4 years. In 2011, four decades later, we should have expected at best two-thirds of the 20,200 to still be alive in light of the life expectancy rate of 1971. But instead in 2011 we have an increase to 33,605 Aboriginal and/or Torres Strait Islander persons aged between 40 to 44 years of age. Most of the increase are those with Aboriginality but from within first world living circumstances and they are therefore not reflective of the majority second and third world living toddlers of 1971. The life expectancy rate that we need to have today to know if the gap has been bridged is on those of the 20,200 toddlers who have survived to today. And then we need to know the life expectancy rates of the children from within the 20,200 cohort, and so on in order to deliberate as to whether we are bridging gaps. To further demonstrate the dramatic rise in population numbers outside historical Aboriginal circumstance, the Aboriginal fertility rate since 1971 has been halved populations in most age brackets are doubling. Predominant Indigenous disadvantage still belongs to those quarter of a million Aboriginal and/or Torres Strait Islanders who were identified as so in the 1960s and early 1970s, and it is with this population layer we have to find out what is happening in order to be fair to all Aboriginal and/or Torres Strait Islander peoples. We must ensure that they are not being lost among the increasing population numbers, predominately increased because first world living people wish to and are encouraged to acknowledge, respect and regard their Aboriginality. With the three point criteria for Aboriginal and/or Torres Strait Islander status as opposed to Census Aboriginality, an important criteria is that one must be accepted by a community, whether they live in it or not, and the Census cannot meet this important criteria with its simple questionnaire. If we standalone Aboriginal people who were attributed in 1971 with a life expectancy 30 years less than the rest of the Australian population, we will find that this is still pretty much the case, sadly, for this layer of the Aboriginal population. We owe them a duty of care, and they should be this nation’s priority. Awful writing: I have found that for Aboriginal peoples who have lived the per se Aboriginal experience rather than a per se assimilated experience for most of those people who have not always formally identified as Aboriginal and/or Torres Strait Islander, that for those who always have identified the life expectancy statistics remain stark.